As Christmas is just around the corner people have been much excited about it and this is the time of the year which calls for looking forward to different kinds of things lined up to go for. There is a lot during this time when people are looking forward to shopping and decorate their houses and prepare for parties to be hosted or to be attended. Like everything else matters in the task of getting away with the preparations of Christmas similarly the role played by clothing is always equally important as well. These days the trend of online shopping has always played a very significant role and when it comes to taking a look at having the best collection of jackets, coats, vests and costumes you must always take a heed towards having hands on something from this very platform known under the name of Sky-Seller. We provide you with a perfect blend of choices with a vast variety of material, colors and styles and the best part is that they even stock up with them a huge collection of celebrity clothing too which proves to be much easier to be grabbed when you need something trendy and popular for yourself. However, when it comes to having hands on a variety as well you may find this platform a perfect choice to go for. They have a huge collection to be grabbed from and they provide the materials of various kinds being genuine leather, faux leather, satin, cotton, denim and what not. 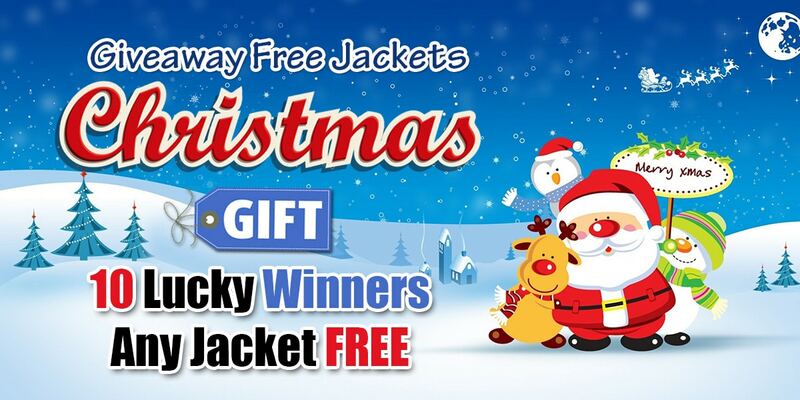 As Christmas is on its way this platform has been looking forward to provide people with a chance to have their hands on the best jacket of all and that too with free of cost. There is a very simple procedure to get your hands on your favorite jacket by following a few simple steps which require you to just share your most liked product from the Sky-Seller to everywhere on your social media accounts. You have to make this platform known and discussed through comments, posts, sharing and then under a proper analysis of all the sharing, comments and posts the top 10 winners will be selected who will be given free jackets. All you need to do is to just send the link of your activity on the email info@sky-seller.com.